From Lawrence Sterne via Jeanette Winterson to Rachel Cusk... autofiction skews the contract between writer and reader by implying an autobiographical link between the author and the fiction. So, why is it the latest literary trend? ‘There’s nothing worse than description … No, characterization is worse,’ a ghostwriter called Joshua Cohen says while writing the memoir of an internet mogul named Joshua Cohen in Book of Numbers (2015) by Joshua Cohen; ‘the only record of my one life would be this record of another’s’. Book of Numbers is an extravagant example of ‘autofiction’, a term coined in the seventies by Serge Doubrovsky to designate literature that suggests the narrator is its author because they share the same name or other biographical elements. Autofiction has in fact been around, in various forms, since Lawrence Sterne wrote A Sentimental Journey and Margaret Cavendish wrote The Description of a New World, Called The Blazing-World; ironically, given autofiction’s avant-garde status, it could even be argued that the novel had its inception in the form. Now the current literary tote bag, autofiction has exponents everywhere from Paul Auster to Will Self; two of the critical darlings and bestsellers of recent years, Karl Ove Knausgaard’s My Struggle series and Elena Ferrante’s Neapolitan saga, and five of the eight novels shortlisted for the latest Rathbones Folio Prize were autofictions. 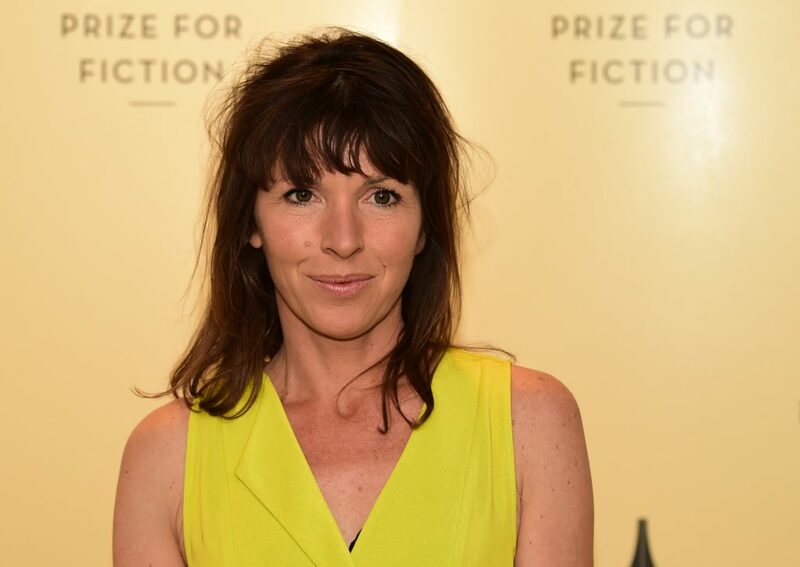 Critically acclaimed authors such as Rachel Cusk have transitioned from writing conventional novels in favour of autofiction. The movement even has a website. Interestingly, the self is the current locus in theory, poetry and journalism too: Claudia Rankine’s Citizen: An American Lyric, marked ‘Essays/Poetry’ but actually more of a poetic autofiction, was nominated in two different categories by the National Book Critics Circle. Maggie Nelson’s The Argonauts mixes autobiography and theory in a mixture its author calls ‘autotheory’, and the rise of gonzo journalism in the work of authors such as Emily Witt, Olivia Laing and Kent Russell blurs boundaries between cultural criticism, reportage and travel writing. Autofiction directly contravenes the unwritten contract between the author and readers of novels in which the author implicitly agrees to tell the ‘truth’ (even if that ‘truth’ is delivered by an unreliable narrator). It flirts with veracity, deploying ostensibly real artefacts, documents, forms, graphs and photographs, even while it distances the events it describes through various discourses, voices and narrators, allowing simultaneously for exploration and self-protection. Non-linear narratives return repeatedly to the same preoccupations, while note-like fragments or stretches of essayistic meditations foreground the minutiae of the surrounding world. The result is that autofiction is both more and less ‘real’ than the traditional novel and continually defies expectations of how a novel should ‘be’. The question I will attempt to answer is: has the advent of autofiction spelt the end of the conventional novel? To do this I will turn to three autofictional voyagers who I believe, in varying ways, have pushed both the form of the novel and the relations it depends upon to its limits. The first is J. M. Coetzee. Famously reclusive, the only photographic evidence that Coetzee twice won the Booker prize are images of his novels propped on empty chairs, yet his autofictional experiment Summertime (2009) at least superficially appears to give the lie to the unstated credo of ‘work not man’. We should be wary of reading too much into his portrayal of his real-life self, however; when Coetzee was awarded the Nobel prize in 2003 he read out a short story called ‘He and His Man’, supposedly about Robinson Crusoe and Daniel Defoe, but really about a character and its creator, an idea that is rife in his oeuvre. In Summertime, John Coetzee, the internationally renowned writer, is dead; we have only his diary entries, notes to himself about how he would expand on them if he turned them into autobiography, and interviews with people who knew him (mostly women), conducted by a featureless academic. Coetzee lives with his widowed father, and is a ‘loner’, ‘socially inept’, ‘repressed’; one character says ‘radically incomplete’. ‘C’, the writer figure in Diary of a Bad Year (2007), the autofictional project Coetzee embarked upon directly before Summertime, is depicted even more unsparingly: he disapproves of ‘the bullying, authoritarian, militaristic strand in western political life’ yet fantasises hopelessly about the young woman who is typing his diary for him, who thinks of him scathingly. If we believe one part of the portrait we have to believe the other, and so end up not being sure of either. It is a game Coetzee likes to play, leaving readers between a rock and a hard place. 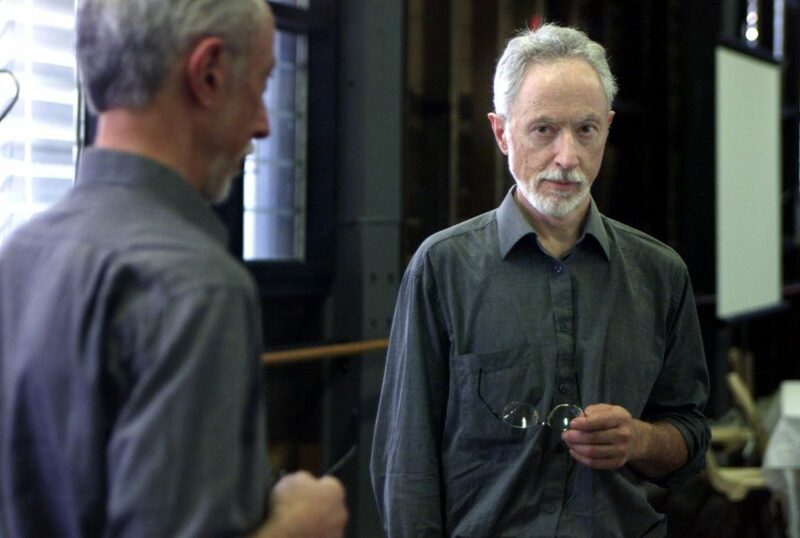 In fact, at the time in which Summertime is set (mid-to-late 1970s), Coetzee had a wife and children and was a tenured professor at the University of Cape Town. His mother was also still alive. He began to write Dusklands, his first novel, not in South Africa, but while he was teaching at the State University of New York at Buffalo in the USA. As in Diary of a Bad Year there is no narrator in Summertime, so we are free to take every character’s word on its own merits. When a woman called Julia says: ‘I really was the main character. John really was a minor character’ we have nothing to prevent us believing her. A man called Martin remarks that he suspects ‘John’ of a reluctance to probe himself, ‘as if being too self-aware might cripple him’. The author of Summertime, however, is aware to a fault of the mythology that surrounds him: he describes ‘John Coetzee’ as a writer ‘the public never took to their collective heart’; there is ‘an image of him in the public realm,’ he writes, ‘as a cold and supercilious intellectual … [which] one might even say he encouraged’. A character called Adriana asks, ‘Was he really a great writer? Because … he was not a great man. He was a little man, an unimportant man’. ‘He had a certain style,’ another remarks, but lacks ‘original insight into the human condition … From other people who knew him you will get a different picture, I am sure.’ Yet Coetzee ensures we do not. His final joke would be if he really did believe that he was merely a gifted rather than a great writer, if he shouted it out from the rooftops of the world, and the world, blinded by his brilliance, still did not see and still did not know him. In fact, we know no more about the man behind Summertime than if he had never written a line. A former faculty colleague from the University of Cape Town named Sophie, with whom ‘John Coetzee’ had an affair says: ‘Nowhere do you get a feeling of a writer deforming his medium in order to say what has never been said before’. Yet in Summertime, as never before in his oeuvre, Coetzee does just that. I cannot think of another writer who has so distorted his novelistic counterpart that readers are left in such a state of flux. Surprisingly, in The Good Story: Exchanges on Truth, Fiction and Psychotherapy (2015), which features Coetzee in dialogue with psychologist Arabella Kurtz, he proclaims a ‘longing or nostalgia’ for ‘the one and only truth’. In his fiction no such thing can be found, and perhaps this is why more recently he has been drawn to the shifting sands of autofiction; no matter how much a novel affects us we know it is not ‘real’, but we have no such assurance with autofiction. ‘Without the truth, no matter how hard, there can be no healing,’ a character remarks in Summertime. If this is true, then there is no healing; Coetzee does not allow it, for no solid ground can be found. Cusk’s autofictional counterpart in Outline says that a ‘family home’ had ‘become the grave of something I could no longer definitively call either a reality or an illusion.’ Life can overwhelm or seem unreal in times of trauma, and auto-fiction attempts to represent that, ‘suffering’ often being the catalyst for such a creative departure. No other autofictional writer has stated this so obviously. It is typical of Cusk’s recklessness as well as her bravery. Post-divorce, Cusk says: ‘I had no frame or context any more. I could hear a purity of narrative in the way people described their lives … For me, writing and living are the same thing, or they ought to be’. It was these ordinary narratives that would become Outline, which consists almost entirely of the protagonist listening as others talk to her. Faced with the impossibility of saying anything or convincing her reader of anything, Cusk hewed out a new form, in which readers discern information about a character from what they are not. Deliberately flouting the golden rules of fiction that stipulate ‘make characters believable’, ‘balance action with dialogue’, ‘show don’t tell’, Cusk’s autofictional ‘characters’ are often no more than disembodied voices and only ever tell – to the extent that their voices veer perilously close to ‘summings up’. The all-but-invisible linchpin upon which the whole hangs, however, is the black hole that constitutes her protagonist. We learn bit by bit that ‘Faye’ (the name appears so late in the book it is like an afterthought) is a recently divorced single mother of two boys, a novelist teaching in Athens, adrift in and estranged from her own life. Reading Outline is like being inside a spotless and almost soundless machine; the feat is dazzling, flawless, almost inhuman. The closest analogies I could find were Beckett or Kafka. It is paradoxically deeply affecting and thought-provoking because of this absence, however; the atmosphere of the novel and the character of Faye remain with the reader long after the cover has been closed. In Cusk’s second autofiction, Transit (2016), we find Faye at ‘a place of confluence … a mere passageway, a place of transit’ (to borrow the terms in which she describes the tube station where midway through the novel she waits for a friend); she is ‘someone who wasn’t there, someone who may or may not even have existed’. Returning to London, she has begun to renovate a run-down flat while her sons stay with their father. As in Outline she occupies non-space, an intersection of other narratives, but this time her speech, in contradistinction to others’, is not enclosed in speech marks, as if she has blended into the very fabric from which she was cut. The builder who is working on her flat could be describing her when he talks about his ideal home: ‘increasingly [he would] imagine living somewhere completely blank … where there’s nothing, no colours or features, maybe not even any light.’ Despite trying circumstances on nearly every side, the most Faye evinces is a negation of emotion, when, paralysed, she listens to her son weep on the phone. In Transit, Cusk refers to Faye in terms that relate explicitly to her own artistry: my ‘current feelings of powerlessness,’ Faye notes, ‘changed the way I looked at what happens and why … as though living were merely an act of reading to find out what happens next’. In a rather vertiginous series of reflections, Cusk’s fictional stand-in, her unreal alter ego, feels as powerless as a character in a novel – if that character was real – which she is in the sense that she is a version of Rachel Cusk herself, who, in turn, is creating her. Just like a character enmeshed in a narrative (Faye is said elsewhere to be simply waiting to see how fate will direct her life, the notion of free will a nonsensical one), unable to get high up enough to see the whole, ‘the illusion of meaning recurred,’ she says, ‘much as you tried to resist it … [yet] it was only through absolute passivity that you could learn to see what was really there’. This goes to the heart of Cusk’s revision of the novel, a vision that is almost mystical, and further removed from a reader’s expectations of a character than would be possible to imagine: Cusk and her character will not move, will not act, will only serve as witness, as the space in which other things move and in moving come to know themselves. 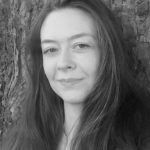 Early in Transit, Faye wonders how her creative writing students could ‘believe in human reality sufficiently to construct fantasies about it’. Suffering can, somewhat irrationally, render reality meaningless. The sensation of meaninglessness, in turn, drains one of strength and initiative. Notions of significance, consequence and volition, central both to novels and our sense of self, are jettisoned. A new way of living and (in this case) creating emerges. Kudos, published on 3 May 2018, will conclude the trilogy. In it, according to her publishers, Cusk will consider ‘how [we] might reconstitute a person’. Having effectively un-constituted one, along with the novels, I cannot wait to see what she will do next. As with Rachel Cusk, Ben Lerner, one of the brightest stars in the contemporary literary firmament, seems to have reached a creative impasse prior to his move into auto-fiction, this time with regards to poetry, which he quit in favour of novels. In his first novel, Leaving the Atocha Station (2011), Adam Gordon, Lerner’s alter ego, a young American poet participating in a fellowship in Madrid, feels himself to be a personal and literary fraud, attempting to write poetry and forge relationships in a language he doesn’t know. This fraudulence extends further, however, into the experience of art itself: poems, Adam believes, are no more than ‘screens upon which readers … project their own desperate belief in the possibility of poetic experience’. He carries around John Ashbery’s Selected Poems (the title of the novel is taken from an Ashbery poem) and feels ‘[t]he best Ashbery poems … describe what it’s like to read an Ashbery poem’. ‘The closest I’d come to having a profound experience of art,’ Adam admits, ‘was probably the experience of this distance, a profound experience of the absence of profundity’. Leaving the Atocha Station is an anti-novel, then; a novel about the inability of someone to respond to literature, and a novel that refuses to be any sort of conventional artwork at all. So far so meta-fictional, but Adam’s artistic disillusionment encompasses more than typical postmodern and meta-fictional ideology in that it reflects both Adam and Lerner’s reservations about the fictional ‘I’: of the first person narrative voice, Adam says: ‘I’d even made up art theories about my inability to use it … But now I think okay … there’s no fixed point of self but it exists.’ In his second novel Lerner will revisit this preoccupation; here, in Atocha, Adam’s self-absorption is mildly repellant despite his brilliance. ‘Ben’, the protagonist of 10:04, is, like Adam, a version of Lerner, this time rather more likeable, more mature: he too is a poet, spent his childhood in Topeka and is trying to write a second novel after the unexpected success of his first (read: Leaving the Atocha Station). The opening scene of 10:04 actually becomes the opening scene of the novel Ben is writing, or vice versa, depending on how you look at it. 10:04 contains another narrative within, a story called ‘The Golden Vanity’, which Lerner himself published in The New Yorker, and the protagonist within that is also a version of ‘Ben’/Lerner. Having set up these correspondences between author and creation, fact and fiction, however, Lerner has Ben confess: ‘part of what I loved about poetry was how the distinction between fiction and nonfiction didn’t obtain, how the correspondence between text and world was less important than the intensities of the poem itself, what possibilities were opened up in the present tense of reading’. It is this intersection of past and future, text and world, fact and fiction that 10:04 returns to again and again, dramatising the moments when spatial and temporal coordinates collapse upon themselves in order to investigate the ‘zero point’ of the present. A key instance of this is when Ben talks about his (and Lerner’s) favourite painting, Jules Bastien-Lepage’s ‘Joan of Arc’, criticised for the artist’s inconsistency in rendering the figure, whose hand appears to dissolve and become part of the background foliage at the moment she hears the summons of the angels, but for our poet, instead, almost magically expressing the inexpressible. Ben compares the appearance of Joan’s hand to Michael J. Fox’s hand fading in Back to the Future (the film which gave 10:04 its title), situated as both are at the ‘flickering edge between realism and where a tear in the fabric of a story lets in some other sort of light’. This is Lerner talking about fiction but his interest in interstices within a medium that reveal, for a moment, some other element, informs his analysis of all art: ‘I like paintings that depict what paintings can’t depict, like hearing voices’, he has said. Continually pulled into the ‘future’ or the past by (often synaesthestic) stimuli in his immediate environment, Ben, like the octopus, his proprioceptive (the word is rather a leitmotif in 10:04) counterpart, is unable to ‘integrate that information into a larger picture … read the realistic fiction the world appears to be’, enabling Lerner to demonstrate that fictions cannot ultimately contain our sense of identity, the past (which is only our sense of identity expressed differently), or even locate us in the present. At certain points, the novel-writing impetus itself breaks down: the protagonist of The Golden Vanity, telling a bedtime story to his nephews, encounters ‘a problem with his tense’; he ‘doesn’t know how to continue the story in the present.’ After undergoing twilight sedation for a dental procedure he experiences another present moment, one of epiphanic beauty that he realises he will not remember, his sense of self being temporarily fractured. What is more, the fact that he is momentarily incapacitated ‘and could not record it in any language lent it a fullness’. Keatsian unsung songs are sweeter, but the point here is that because the moment cannot be recorded in language it is ‘made … briefly identical to itself’. When time and narrative and self are absent, life becomes one, utterly itself and nothing else – unlike the world in the epigraph of 10:04, which suggests that everything is always the same though just a little different. ‘This experience of presence depended upon its obliteration,’ Lerner writes. The blinding light of the present momentarily erases the binaries of past/future, self/non-self. It is also directly linked, for Lerner, to the absence of another binary: ‘the distinction between fiction and nonfiction didn’t obtain’. What, then, of the self: Ben, Lerner, the protagonist of The Golden Vanity, and the self that is reading Lerner’s novel? Where do they exist if simultaneously occupying past, present and future, as Ben does here and as Lerner forces the reader to do – for is it not as impossible to read both ‘I know it’s hard to understand’ and ‘I am with you, and I know how it is’ simultaneously, as the forward slash commands us to do, as it is to be ‘with’ Ben/Lerner as they inhabit all three tenses? Lerner has effectively dramatised the dissolution of the self (remember Joan’s fingers, Michael J. Fox’s hand) by bringing it into contact with a fissure in the matrix, a moment when story and history, fiction and fact all become blissfully meaningless, blissfully one. And in dissolving the self he also dissolves the novel as we knew it. This is how the author escapes the contradictions, complexities and vagaries of the contemporary self: he stows away in a disintegrating mechanism, wrapping his cloak around him. And the death of the writer also necessitates the death of the reader, who, hanging onto the hem of the author’s cloak, is yanked into the unknown between worlds. The contract between author and reader is obsolete. If there is no longer a self to speak there is no ‘truth’ to uphold. W. G. Sebald was one of the forerunners of contemporary autofiction. His influence can be seen directly in Cusk and indirectly in many others. The late German writer and academic, like most writers of autofiction, had no time for the conventional novel: ‘There’s still fiction with an anonymous narrator who knows everything, which seems to me preposterous,’ he said three months before he died in 2001, in an extraordinarily revealing interview which slightly dissipates the ‘magic’ of his writing. His own fictions are a mixture of journalism, travel writing and memoir and his subject matter is the past, or more specifically the Holocaust, often considered unrepresentable by those who (like Sebald) had not witnessed it. He does not aim for exact representation in any case, the main themes of his work being the unreliability of memory, the continual evaporation of the past, and the myth of historical certitude. What he was searching for was ‘poetic truth’, he said; ‘authenticity; none of it is real’. This belief in the value of transference, for want of a better word, is central to the power of autofiction in general. The vicarious nature of Sebald’s art is illustrated in the work of Jan Peter Tripp, the German painter and printmaker who collaborated with the author on his last and greatest work, Austerlitz (2001), by making unnervingly exact prints from photographs of the eyes of a number of people, through which, Sebald noted in an essay about Tripp’s work, ‘the role of the observer and the observed objects [is] reversed. Looking, the painter relinquishes our too-facile knowingness; unrelatedly, things look across to us.’ The images occupy a flickering space between life and non-life, truth and non-truth and our subconscious registers there is something slightly amiss. We internalize the disjunction but cannot account for it, enabling the object to peer back and interrogate us. Direct correlation would not produce this uncanny inner resonance, the echo of ‘felt’ truth (similar to Lerner’s description of ‘felt possibility’). The gap opened up by this failure (however slight) in correspondence is at the heart of autofiction. Not knowing where the author stands, even what the author any longer consists of, we, in turn, do not know how to position ourselves as readers; we begin to partake of the radical indeterminacy that characterizes Sebald’s tormented narrators. For if history cannot be portrayed factually, neither can the self, which is only a mirror held up to history and is as unknowable and unrepresentable as any other narrative; which, in Sebald’s world, is dreamlike, itinerant, permeable, multifarious, disparate and never ‘fact’ or ‘truth’. Radically indeterminate, it must be approached obliquely, by subtle washes of colour and light (in Sebald less colour, less light), a presence at the periphery rather than the center. After reading Sebald I think nearly everyone feels they have never encountered anything similar. To surface from one of his novels feels like surfacing from a life or a dream or a journey we can only just remember but one that nevertheless traversed the depths of not just our own, but many other souls, a journey outside time and place altogether. 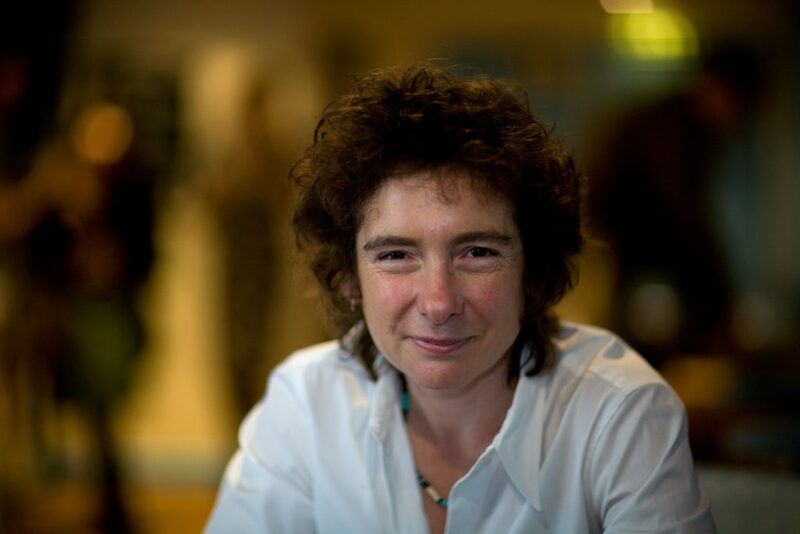 In Oranges Are Not the Only Fruit, Jeanette Winterson, one of the first of the new wave of autofictional novelists, writes of magic circles that people draw around themselves for protection ‘from elementals and the like’. Fiction is Winterson’s chalk circle, her ‘territory’. To fictionalise is empowering, is all you can sometimes do. And so Winterson became Winnet Stonejar in Oranges because someone knew her name and ‘naming meant power’; she shape-shifted through all of the fairytales deploying symbols, markers, camouflages and tokens to ward off evil eyes, both of certain readers and those within the narrative who would write her into their own stories. In an unprecedented interpenetration of life and art, more and more novelists are stepping within their own magic circles and donning a fictionalised self. If metafiction revealed the circle of fiction, pointed out where it ended and where it began, autofiction invites us to step inside along with the author and see that the circle is actually infinite, extends so far it includes writer and reader as well. It is the more radical movement, as knowledge that an artwork is unreal can be retreated from to the previous suspension of disbelief, but to be told that it may be real is lastingly destabilising; there is no way to dispel the disillusion because there is no way of disproving it. Fiction has intruded where it should not, into reality itself. A new ‘self’ has emerged: personal but not autobiographical, and the stage of that self is everywhere and nowhere. What of conventional fiction, that still preserves the fourth wall, the illusion that it dramatises a ‘real’ if alternate cosmos? If the novel as we know it exists by virtue of being fiction, and the distinction between fact and fiction no longer remains, can the novel still exist? If the formal qualities conventionally associated with fiction (plot, character, form, style) are dissolving and fusing with something larger, can it still be called a novel? Form is how we identify something. Barthes writes in his auto-fictional Roland Barthes (the work from which Maggie Nelson drew the title of her own ‘autotheory’): ‘Argo is an object with no other cause than its name, with no other identity than its form’; the Argo’s parts may have been replaced on its voyage by the Argonauts who sailed with Jason on his quest for the Golden Fleece, but the boat was still called the Argo because it retained its overall form. If a form dissolves, however, then so does the entity it once embodied. I believe the conventional novel will survive for the time being but as a choice rather than the default. It may become a genre in itself. Sensing it is endangered, many writers have already taken the evolutionary leap towards the only place that they could: reality/themselves, and in that new space the novel and the self (inextricably bound since the novel’s inception) have emerged from the stalemate of postmodernism both affirming the other’s reality and simultaneous unreality. Autofiction points towards something else, too: its very multiplicity, its tendency to reference and include so much that is ‘outside’ the circle threatens to dissolve it entirely, just as, by becoming multiple, the autofictional self, at certain moments, appears to evaporate. What is more, if images, texts and alternate discourses continue to intrude in autofictional works, at some point perhaps sound, three-dimensional objects and moving images will too; perhaps they will intrude into the ‘conventional’ novel; perhaps at some point a ‘novel’ may have more in common with a film than a ‘novel’; a painting with a narrative; a sculpture with a poem. We are looking not just at the dissolution of the novel but the distinction between art forms themselves; the impulse can be observed in every sphere of human activity. We are moving into utter inter-meshedness, utter indistinguishability. Which begs the question: if every medium continues to move closer to the appearance, texture and all-inclusiveness of everything else, is what we are encountering ‘art’ anymore or, well, just ‘life’?